Web-based businesses and entrepreneurs rely on many products and services to help them generate leads, close sales, and handle customer service. One of these crucial, modern business investments is a content management system. 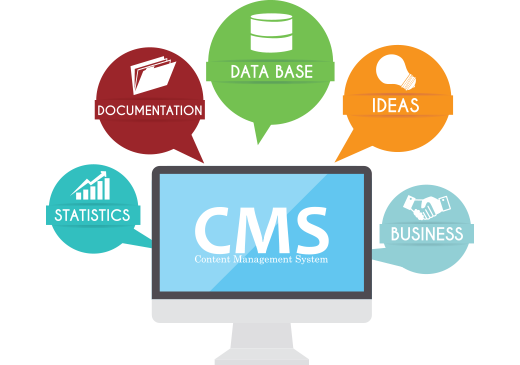 Content management systems help control content creation, distribution, and maintenance. Without a CMS, vested parties will spend hundreds of hours curating published content each year. How impactful are content management systems? Which platforms are entrepreneurs and businesses using? Why bother with them? These questions answered in this post. There are a dozen+ content management systems available for free and at-cost. They range from big, market-dominating projects to micro platforms providing an alternative to what many call “bloat”. Then, you have a myriad of enterprise-level offerings ideal for large workforces and heightened business needs. WordPress provides your standard fare for content management features and benefits. WordPress powers over 30% of the Web, making it an increasingly popular choice for those wanting flexibility and support. WordPress is ideal for individuals and small businesses. It provides a quick way to develop websites without coding knowledge through great offers from designers & developers. Or, drag-and-drop theme builders readily available alongside WordPress-friendly web hosting. Joomla is very much like WordPress with a few minor differences, but ultimately facilitates the same intention: building a flexible website. The draw of Joomla (and other business-tier) content management systems is its inherent security features. A business may want to explore Joomla simply for its lesser footprint in the CMS market. This makes it less of a target for hackers. Zesty.io was built to facilitate enterprise-level needs for big businesses and corporations maintaining a variety of websites and platforms. This content management system intertwines multiple websites and accounts within a central dashboard. It houses rich features ideal for businesses divided into various sectors, in need of cross-effort campaigns and ventures. Zesty is a great fit if you’re operating a globally recognized brand. Or, if you see your business obtaining international reach within the coming years. Those familiar with a content management system probably associate them with blogging and small business websites. Their features and benefits extend beyond a basic setup, though, becoming virtually anything a business needs! But what really makes the platforms worth their while is how they scale online operations. The content management system becomes a central hub for online activity when connected to third-party services like CRM tools and social media accounts. Distributed Campaigns. A published post is scheduled to automatically share to the internal promotions team, and to social accounts. This rapidly spreads the new content/promotion through a single node — eliminating overlaps and miscommunication. The campaign is worked on behind-the-scenes through user logins and the CMS backend. Consolidation. A large business may operate several websites, creating new microsites for each advertising and marketing campaign. The business can log-in through one main platform and check the status of every site. There, the main team can schedule content, respond to comments, and make changes without needing to log in through several portals. This consolidates efforts saving time and resources. Influencers. A great CMS could pose an opportunity for giving influencers a branded domain. There, the influencer is integrated to the business and brand, publishing content and attracting parties to the CMS-powered domain. The business retains ownership and control, yet gives plenty of flexibility to these micro-influencers to build upon advertising and marketing campaigns. There are no “bad” choices with content management systems since they are all tools. Use whichever tool you feel best suited for your online business and project purpose. Choose the one you’re willing to learn its basics and continually strive to master its use. Your turn: What CMS do you use with your project? Why?